← Rookie Again . . .
Dear God, my prayer for 2013 is a fat bank account and a thin body. Please don’t mix these up like you did this year. It’s January 1st, 2013. The start of a new year and the time when most people make New Year’s Resolutions. Many are typical: lose weight, exercise more, read more, stop beating the wife (just kidding). Some make a long list of improvements for the coming year, some a short list with just two or three important desires. For those of you with a mind for data, here is a link to some New Year’s Resolution statistics. Great improvement objectives. But sadly, almost all New Year’s Resolutions get abandoned and forgotten as the routines and habits of our lives take over. After one month, 64% of New Year Resolutions are abandoned (I am definitely above the national average on that one). Which of my 2012 New Year Resolutions did I NOT accomplish, and importantly, WHY NOT? The way I see it, if I can determine WHY I failed at a 2012 New Year Resolution and what is it about me that contributed to this failure, then I can perhaps avoid making the same mistakes in 2013. I’m using the 5-Why principle here, keeping asking the question WHY until I reach the real root cause of my failure. Was I not serious? Did I fail to organise my daily routine to succeed? Did I rationalize away my objective (I’m not that fat…I look good with a bit of meat on me!). Somewhere, but looking backward, I am confident I can go forward into 2013 with a set of New Year Resolutions and the wisdom to accomplish them. 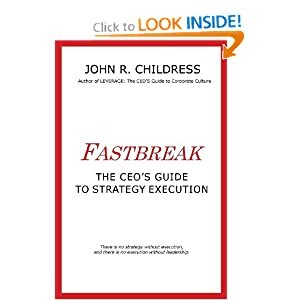 I did, however, accomplish one of my key 2012 New Year Resolutions: Writing and publishing a business book – FASTBREAK: The CEO’s Guide to Strategy Execution. I have printed copies being mailed to past and current clients and soon you will be able to find it on Amazon.com and Amazon.co.uk. I’ll not talk about all my failed 2012 resolutions. But I am determined to make 2013 better than 2012. How about you? 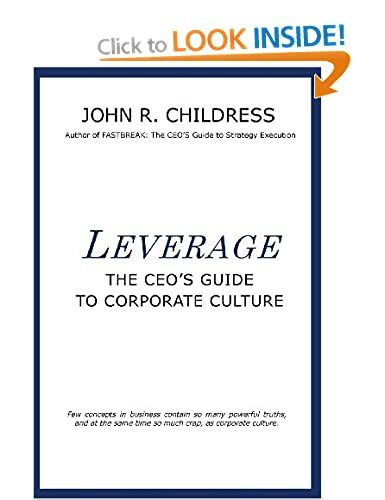 This entry was posted in Human Psychology, John R Childress, John's views on the world, Life Skills, Organization Behavior, Personal Development, Self-improvement and tagged 5-Whys, Fastbreak, healthy-living, New Year Resolutions, self-improvement, Top 10 New Year Resolutions. Bookmark the permalink. Mimi: Wishing you the very best for 2013. Can you believe it has been 13 years since the millennium? I remember as a kid thinking the year 2000 was sooooo far into the future I would probably be old and grey. Grey, yes, old, no, just better. Looking forward to more great posts from you in 2013. I too can’t grasp this accelerated pace with which time passes..Remember when a season felt like it was forever? Grey? For sure (underneath my highlights – sorry). Better? In many ways. Certainly better for having ‘met’ you. From a global/financial perspective I would be happy just to have a very boring year. I think we have all had quite enough excitement to last a very long time. Wishing you and your family a happy, healthy, boring and prosperous New Year. Malcolm: my daughter thinks I am too boring! Happy New Year to you and your family. David: Happy New Year to you and yours. I have a feeling you will be cranking it up a notch in 2013. Many thanks for this interesting posting. While a ‘five whys’ approach can often be useful (especially in terms of identifying what to do and why), I’d also like to recommend the concurrent application of a ‘five hows’ approach. For instance, if one of your personal goals for 2013 is “to organise (your) daily routine to succeed”, then you need to ask yourself how you will achieve this, rigorously going through potentially five levels of questioning before you arrive at specific actions. Reminds me of: How Now . . . . Sorry, too much champagne over the holidays. A very good addition to the 5-whys. I will use the 5-Hows to good advantage.